Why Does Superior Food Production Generate Inferior Income? Our diverse, small-acre vegetable farm was in its fourth year of production. Despite what appeared to be a successful venture — a thriving farmer’s market stand, 100 loyal CSA members, and established wholesale accounts — my husband and I could not make ends meet financially. We had a tough choice to make: either quit farming or find off-farm employment to supplement the family income, thus removing one of us from the farm. 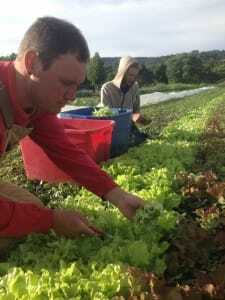 Though many small-scale local, organic farmers are highly revered and supported by their communities, the hard truth is that it is very difficult to make a living growing the kind of food everyone wants to eat. We personally know many highly skilled former farmers who quit due to financial reasons. How is the food system going to be revolutionized when even our best local farmers are quitting due to the economics of small-scale diversified farming? Yes, the good food movement has come a long way in the last 20 years. More people have come to understand that small-scale diversified farming strengthens local economies, enhances environmental stewardship, and contributes to human health. Consumers have come to demand pesticide-free, just-harvested, nutrient-dense food, and they want to know that environmental sustainability, human and animal welfare, and local prosperity come with it. In addition, many scientists now recognize that the majority of small-scale farmers carefully manage their lands to sustain remarkably high levels of productivity despite using fewer agricultural inputs. In fact, United Nations research shows an inverse relationship between land size and productivity. 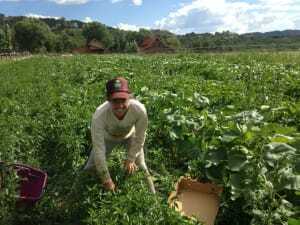 Small-scale farmers across the globe, with their intimate knowledge of local ecologies, utilize innovative land management techniques to be highly productive. 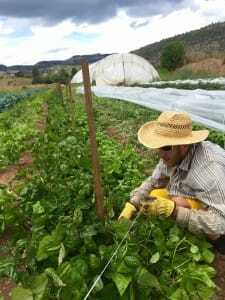 However, despite the growth in the number of farmers markets, CSAs, and local food in the grocery stores, many small-scale farmers struggle financially. Like our farm, over 90 percent of small farms rely on a secondary income source to make ends meet. Despite working long, hard days and building a loyal customer base, many small farmers are earning wages well below the poverty line. Too many hardworking, highly skilled farmers quit simply because they can’t afford to pay their bills. A love of the job and a passion for the cause and the quality of the food cannot sustain them for long. Lifestyle choices such as having children or owning and improving land are not viable options for many new farmers. Consider this: the number of farmers under the age of 45 dropped 14 percent between 2002 and 2007, and the number of farmers over the age of 65 increased by 22 percent in the same timeframe. Yet, if we want the majority of our food to come from diversified small-scale, local farms, we must increase the number of young farmers rather than watch them try out farming only to move on to more lucrative occupations. Shift government agricultural subsidies away from monoculture, large-scale commodity production to diversified small-scale farms. Diversified farms that produce high quality fresh vegetables and grass-fed meats and milk should be subsidized rather than commodities that end up in unhealthy processed foods. Reduce competition from large-scale monoculture-style operations that attempt to capitalize on the demand for ethically produced food. 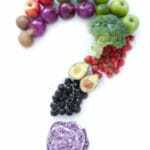 In many cases, the USDA certified organic food in mainstream grocery stores comes from farms and businesses that do not provide the benefits to society that the term “organic” originally signified. What was once a movement led by small-scale, diverse, local, family farms has now become dominated by industrial-scale farms that simply substitute organic inputs into mono-cropping production systems or — even worse — cheap imports from potentially fraudulent sources. These operations are corporate entities, distributing food nationwide, sometimes globally; their production systems do not always incorporate ecological principles or benefit local communities. Today, the words “organic,” “local,” and “family farm” have all been co-opted by agribusinesses in an attempt to exploit the increased demand for quality food. 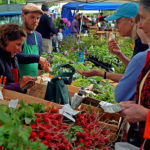 Educating consumers to “know their local farmers” and, when locally produced foods are not available, to buy from ethical organic brands, is paramount to reclaiming original organic principles. Increase opportunities for farmers to own farmland close to their markets. Farmland close to cities is much more expensive than land further from town. Often, new farmers are forced to live far from their customer base, making marketing much more difficult and expensive. Deliveries must incorporate time and gas spent driving into town, creating fewer opportunities to direct-market fresh produce. Some farmers choose to rent land close to town, but will never have the opportunity to own and, therefore, make long-term investments in the land. Landlords often do not understand the low income affiliated with farming and charge too much for rent. Thus, farmland changes hands frequently. 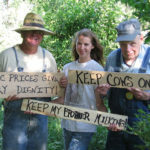 When farmers are forced to buy land far from their customer base, consumers lose the opportunity to experience the farm. Programs that finance and support alternative ownership of farmland close to town need to increase. For example, Equity Trust is a nonprofit that actually pays the difference between the agricultural and market values so farmers can afford to buy farmland that is of interest to developers and the rural real estate market. USDA subsidies for low interest loans to farmers also should be expanded. Farmers deserve the opportunity to own their own land, and to farm close enough to their market that their consumers are able to know them and their farming practices. Educating consumers on the ethics of food production needs to continue. The benefits from sustainable production to the environment, local economies, and human health are well studied but not reinforced in our culture. Homegrown food from highly diverse, sustainable farms can be more expensive than processed food and unobtainable for many people. Unfortunately, short-term savings result in long-term costs affiliated with pollution, failing local economies, and skyrocketing healthcare costs. What would the true price of processed food be if subsidies to commodity crops were eliminated, and the costs of pollution, migrant labor, and healthcare were incorporated? Unless we, as a society, begin to tackle these issues in earnest, with the goal of achieving a paradigm shift in our food supply system, nothing will change. Small-scale, family farmers will come and go while monoculture agriculture will continue to assail us with pollution and inferior nutrition. All of the momentum that has built up over the past decade surrounding responsible growing and eating will mean very little if an honest effort isn’t made to support the people capable of producing superior food. “EWG Farm Subsidy Database”. http://farm.ewg.org/. 29 2012 Farm Subsidy Database. Retrieved July 2015.